When you are looking to advertise and market your business online or using the Internet platform, there are a number of strategies that you will need to follow. Without a well-planned strategy, you will certainly not be able to make a successful marketing campaign and not be able to gather wide customer base. There are a lot of benefits that the Internet can provide to your business. First and foremost, you will be able to market and advertise your business at a very minimal cost, which is not possible when you use traditional marketing tools. Second of all, you will have the perfect opportunity to advertise and market your business not only within the national territory but also across international borders. This opportunity to go global can help you build your brand globally and also build a customer base with national and international clients. There are various online marketing tools that you can make use of like search engine optimization, social networking sites and many other innovative tools. Now, the social network marketing tools can be sub-divided to various other tools like facebook, Instagram, LinkedIn, Twitter, and many others. However, every single social marketing platform that has been spoken about needs a separate marketing strategy. Today, you will get to know how to plan an Instagram marketing strategy effectively. You will have to keep a track of the people who are getting engaged with your brand. Not everyone will tend to follow or like your brand. You will have to even figure out as to which contents are in your Instagram profile are being read and followed. This will certainly help you get a hint about the type of customers you need to deal with. The next thing that you will have to keep a hawk’s eye at is the time when most of your customers are staying online. As an entrepreneur, you should have maximum interaction during this time of the hour with your customers. Having hashtags is your Instagram profile works as a USP. You will have to measure as to which hashtags are actually being seen and followed by your targeted audience. When you are looking to drive your sales volume it is important and very much capitalizing if you post some of the most high-quality images of your products and services. Images are certainly capable of bringing about the visual impact in the mind of the audience. Make sure that the images are enough brightened. This will certainly give a more sophisticated look to your image products. Make sure your images have the right color choices. This will definitely help to allure the attention of the audience. One of the smartest and easiest ways to draw the attention of the customers is by posting engaging captions. Captions will help you to stay clear and direct about the marketing message that you are looking to convey. Make sure you also set up direct questions for your customers. This will help them to stay engaged with your brand. You should also include open-ended questions for your customers. 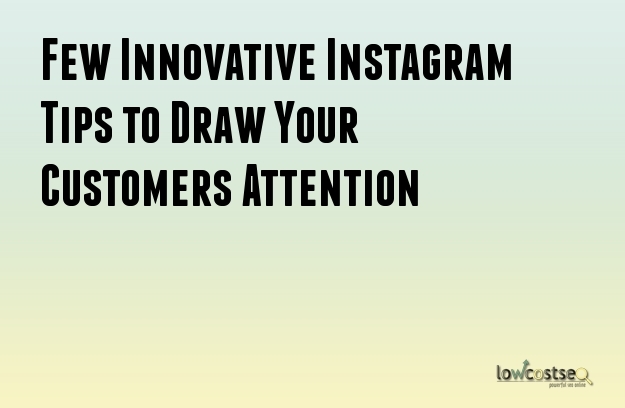 Do you want to involve more people on your Instagram profile? Are you looking for ways to increase the engagement of followers on your posts? The more you post the more followers you engage on your post. Research has clearly shown that the all bigger brands have the tendency to post about nine to ten postings per week on an average. Find out the time the viewers are more active. Posting around this time certify more amount of engagement on a certain post. Make sure that you engage yourself in interacting with the followers. Communicating with other users is also for essential. Always give a response to the comments so that the followers feel at place and interact even more. Do not just use the existing hashtags. Make it a point to build up your own hashtags for your brand. Also posting the right hashtag is very important as that will fulfill your aim to engage followers and gradually increasing them. Get to know your followers well. Research on the kind of industry you are aiming for. This will help you identify the post that is more popular in this field. Try and keep your profile synchronized with the trend. Identify the trending hashtags and customize your hashtags according to that. The images of the profile should hold up the well being of a website. It should be linked to the caption. The videos should be interesting and should not be more than fifteen seconds long. Both the images and the videos should be of a good quality. Keep following and liking posts that are related to your business and those that are entertaining. This will make the followers feel more enthralled by your involvement. At times hold different contests and distribute prizes. This will make the viewers feel more interested and keep them engaged to what you are posting. Link up your Instagram profile with other social networking sites like Facebook, Twitter, YouTube, etc. The viewers will thus feel more intrigued. There are some posts that will get more likes and comments than the others. Identify this and the same technique on all your other posts. Keep posting pictures of people who has acquired your product. This will not only engage the viewers but also bring the product to spotlight. You should only share posts that are valuable. The content should be relevant. It is important to keep one promotional post between 15-30 non promotional ones as that will give a better chance of viewership. Your posts should have a minimum of seven hashtags to ensure maximum engagement. Attach captions and double tap it if necessary to increase the amount of likes. A profile picture is responsible for creating a first impression on the customers. Thus, it is essential to keep an appealing yet professional profile picture.